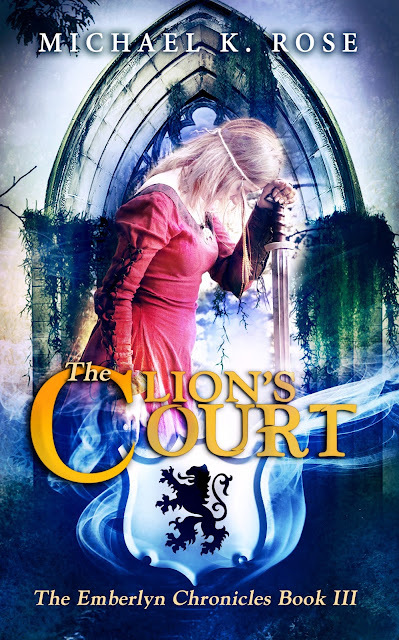 New Release: <i>The Lion's Court</i>! New Release: The Lion's Court! The Lion's Court, the third and final book of The Emberlyn Chronicles, is now available for your Kindle! If you haven't yet read the first two books of the series, you'll find all the links below. Time is running out for Penny Blackmoor and her allies. As Lord Dourok continues to spread his corruption beyond the Great Forest, Penny must convince the king of Emberlyn to send his troops west and stop Dourok from destroying Queen Anneli’s beleaguered army. But Dourok has discovered a forgotten magical relic hidden in the treasure vaults of Mehrkohst Castle, and it may give him the power he needs to defeat his ancient enemy once and for all. As the final battle approaches, Penny knows that she must face Dourok in single combat before the ultimate fate of the world can be known.